The Coast Guard Auxiliary Auburn University Detachment participated in a special Veteran's Day Ceremony at East Alabama Medical Center in Opelika, Alabama. Flotilla Commander Jake Shaw gave brief remarks on behalf of the Detachment, and the Coast Guard at large. "Ladies and gentlemen, honored guests, distinguished guest, hospital nurses and staff, family and friends. It is an honor to be with you on this Veterans Day 2011, at this hospital, in this community, in this great country of ours. Our mission here today is to honor and remember our Armed Service Veterans who have most selflessly served to make certain that we can live in freedom in this great United States of America. If we have learned anything in the years since our country was founded, it is the freedom is not free. It must be cherished. It must be protected. And, often it must be fought for. Today we thank those great Americans who were willing to fight for us, to give of their lives if they must, to protect that freedom that we do so cherish. 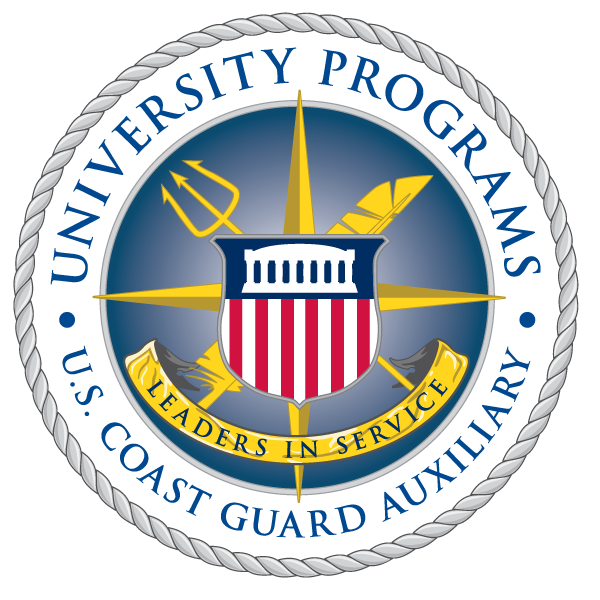 I am Jake Shaw, Commander of the United States Coast Guard AUX, University Program at Auburn University. To my left is Mr. Michael Freeman, our company vice commander, retired US Army soldier and staff member at Auburn University, and to his left is Mr. Eli Beaver, Coast Guard AUX staff officer, as well as JAG officer with the US Army Reserves. Also with us are a few of the United States Coast Guard Auxiliary Cadets from Auburn University. The Coast Guard Auxiliary was the first reserve branch of the Coast Guard, authorized by congress in 1939, during the armed forces build up prior to World War Two. I speak for all of us in that we are truly honored to be with you this afternoon as we thank several Armed Service Veterans who are patients in this unit, of the hospital, at this time. Before introducing you to our most distinguished guest today, I’d like to introduce you to several of our honored guest, patients from this unit who served our country in our United States Armed Forces. With us this afternoon we have Major Robert Witlock, US Army Reserves, retired. Major Witlock served in the intelligence corps in both the Korean Conflict and the Vietnam War. Mr. Marvin Beasley, Staff Sergeant retired, US Army Amphibious Squad. Mr. Eddie Ray, supply corporal retired, United States Air Force. And Mr. Jacob Walker, US Army signal corps retired. Mr. Walker served in China during World War II. Gentlemen, it is a pleasure to have you with us today and thank you for your service. Our most distinguish guest of honor this afternoon is Command Sergeant Major Bennie G. Adkins, United States Army Special Forces, retired. Mr. Adkins is among the most highly decorated soldiers in all of the United States of America. This true warrior of warriors has received many commendations including the Distinguished Service Cross, the Silver Star Medal, two Bronze Star Medals, the Purple Heart with four Oaf Leaf clusters, the Vietnamese Cross of Gallantry, the Combat Infantryman Badge , the Special Forces Tab, the Master Parachutist Badge, two foreign parachutist badges and 22 service medals. Mr. Adkins is also a commander with The Legion of Valor, which is an elite group of soldiers and sailors, that continues his service to his country to this very day. I’d like to take this opportunity to share with you at this time, General Orders Number 1957, Headquarters, US Army, Vietnam from 30 April 1967. “The President of the United States takes pleasure in presenting the Distinguished Service Cross to Bennie G. Adkins, Sergeant 1st Class, US Army, for extraordinary heroism in connection with military operations involving conflict with an armed hostile force in the Republic of Vietnam, while serving with Detachment A-102, 5th Special Forces Group (Airborne), 1st Special Forces. Sergeant 1st Class Adkins distinguished himself during the period 9 March 1966 to 12 March 1966 during combat operations at Camp A Shau, Republic of Vietnam. When the camp was attacked by a large Viet Cong force, Sergeant 1st Class Adkins rushed through intense hostile fire and manned a mortar position. Although he was wounded, he ran through exploding mortar rounds and dragged several of his comrades to safety. When the hostile fire subsided, Sergeant 1st Class Adkins exposed himself to sporadic sniper fire and carried his wounded comrades to the camp dispensary. During the evacuation of a seriously wounded American, Sergeant 1st Class Adkins maneuvered outside the camp wall to draw fire and successfully cover the rescue. During the early morning hours of 10 March 1966, a Viet Cong regiment launched their main attack. Within two hours, Sergeant 1st Class Adkins was the only man firing a mortar weapon, Although he was painfully wounded and most of his crew was killed or wounded, he fought off the fanatical waves of attacking Viet Cong. After withdrawing to a communications bunker where several Americans were attempting to fight off a company of Viet Cong, Sergeant 1st Class Adkins killed numerous insurgents with his suppressive fire. Running extremely low on ammunition, he returned to the mortar pit, gathered the vital ammunition, and ran through intense fire back to the communications bunker. After being ordered to evacuate the camp, all signal equipment and classified documents were destroyed, Sergeant 1st Class Adkins and a small group of men fought their way out of the camp and evaded the Viet Cong for two days until they were rescued by a helicopter. Ladies and Gentlemen, honored guests, it is with the greatest respect and unending gratitude that I introduce you to Command Sergeant Major Bennie G. Adkins, US Army, retired. Sir, it is with deep appreciation for your past and continuing service to our country, we thank you, we salute you, and we pray that you have a speedy and full recovery. Thank you sir, for your service. Lastly, I’d like to pay tribute to Mr. Adkins’ wife and his family who are with us today. Your selfless support is immeasurable, as you have stood beside your husband and your father, and your grandfather, threw all the years and continue to provide unending support through his recent trials of this past summer and fall. Thank you for your caring love and devotion. This concludes this portion of today’s Veterans Day Celebration. Thank you for your time and your love and support. God Bless You and God Bless America.